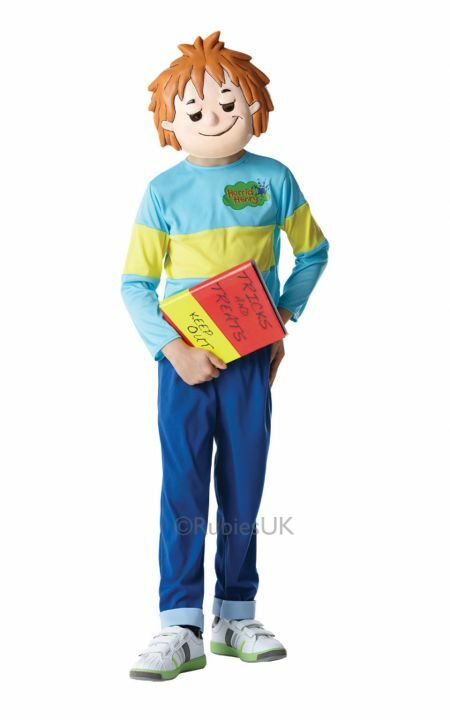 Horrid Henry boy costume with Printed top, trousers and mask. What hilarious hoaxes, scares, dares, pranks and tricks will you get up to as mischievous Horrid Henry? Form your own secret Purple Hand Gang and go on the rampage. Like poor Perfect Peter, your siblings will want to run and hide!